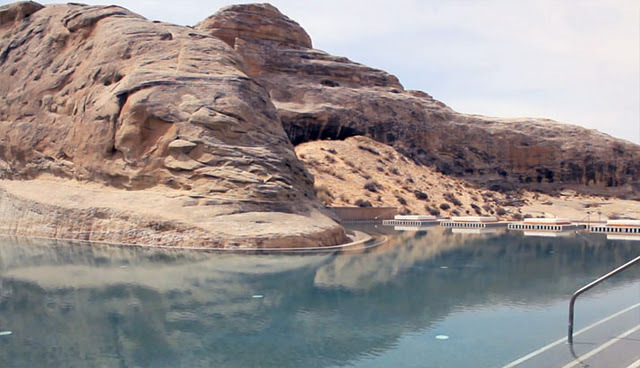 (peaceful mountain) is located on 600 acres in Canyon Point, Southern Utah, close to the border with Arizona. 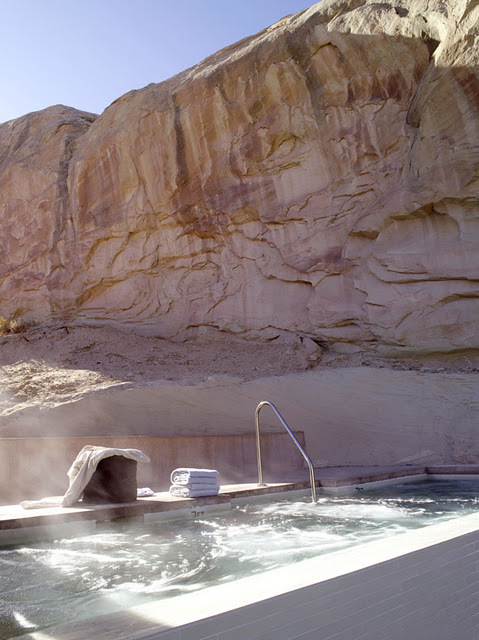 The resort is tucked into a protected valley with sweeping views towards the Grand Staircase – Escalante National Monument. 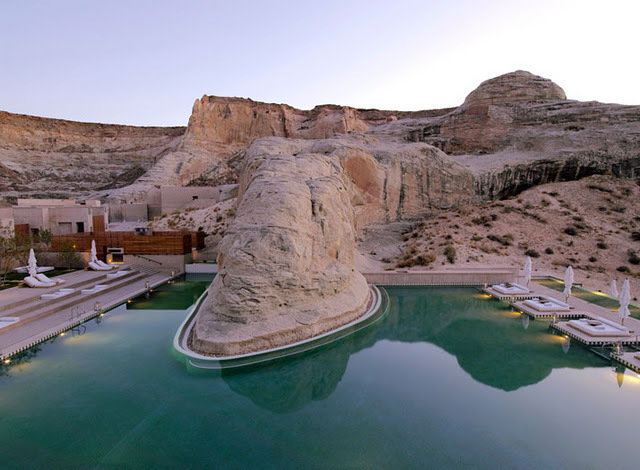 Built around a central swimming pool with spectacular views, the resort blends into its dramatic surrounds where deep canyons and towering plateaus create a raw landscape of immense power. 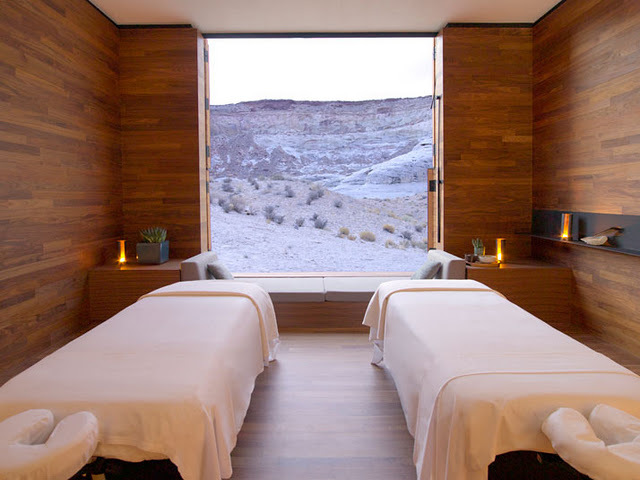 Amangiri’s Aman Spa features a floatation therapy pavilion, water pavilion with sauna, steam room, cold plunge and step pool, fitness centre and yoga pavilion. 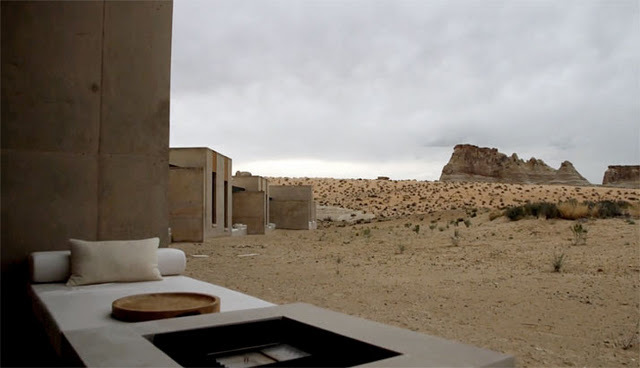 The Villas at Amangiri are spread over a generous swathe of starkly beautiful desert and are hidden from Amangiri resort by a dramatic rock escarpment. 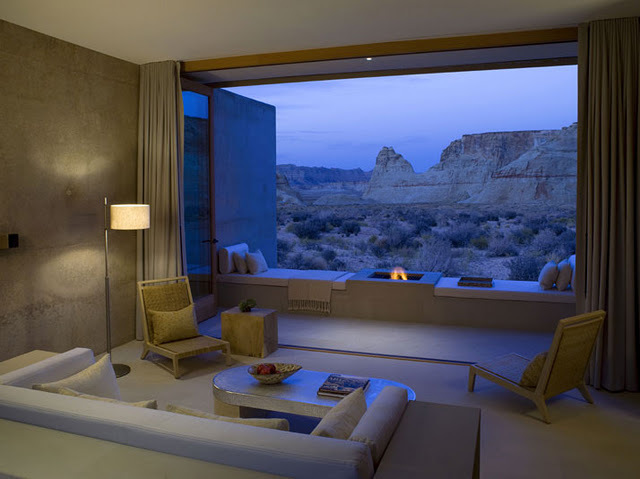 This means that each villa enjoys the utmost privacy, out of the sightline of resort guests. 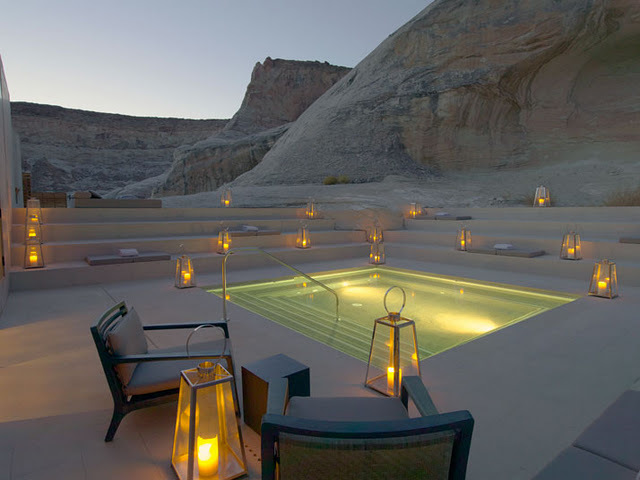 Each villa is still part of Amangiri resort however, and its owners will enjoy access to every resort facility, including the 25,000 foot Aman Spa, bar, restaurants and services that cover staffing, cleaning, entertaining, maintenance and security. 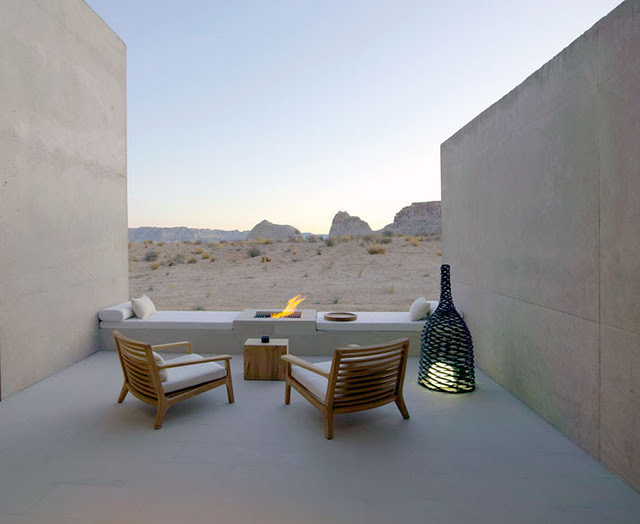 Most importantly, owners of villas at Amangiri will be embraced by the Amanresorts’ lifestyle that, ever since Amanresorts’ founder, Adrian Zecha, unveiled Amanpuri 22 years ago in Thailand, has transformed and remolded expectations of the luxury traveler. 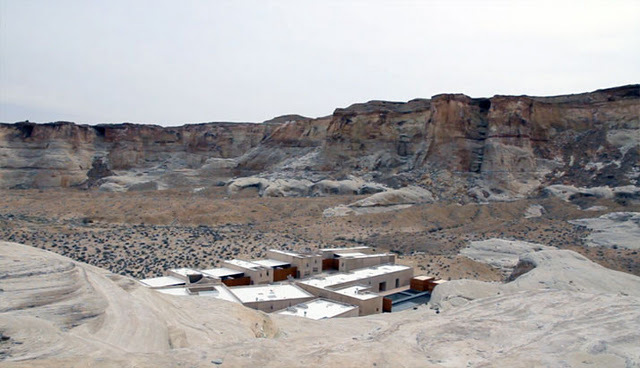 The first wave of construction includes eight villas, the first of which is due for completion in 2011. 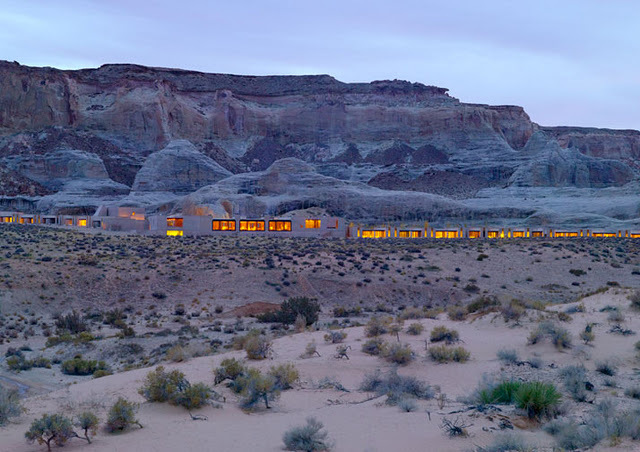 Because of the spectacular topography of the Amangiri landscape, each villa is individually designed to meet the demands of the slopes on which it is perched. Lot sizes range from 1.6 to 2.9 acres, and the actual footprint of each home averages 7,500 square feet, with interior space averaging 6,000 square feet. 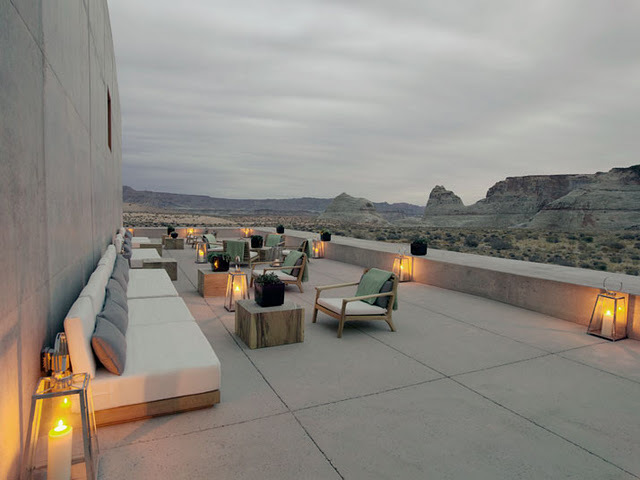 Designed to evoke the colors and textures of Utah’s Canyon Country – as is the entire Amangiri resort, each villa epitomizes the character of the Bauhaus, with flat roofs, square angles, oblique terraces and walls of glass that showcase the extraordinary desert vistas all around. Every three-storey villa has a minimum of four identical master bedrooms, each with a large bathroom and dressing area, and terrace. The main floor of each villa features an open-plan living room separated from the dining room by a double-sided fireplace. 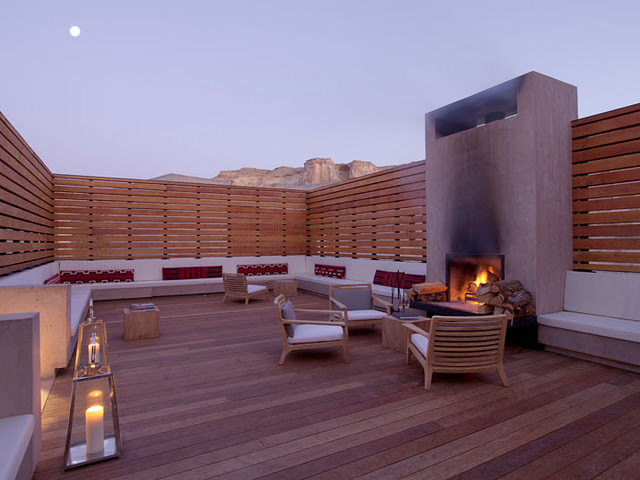 The living room leads into a large medi room and an eat-in kitchen – and the entire floor is surrounded by a wrap around terrace, complete with out-door dining area and sun beds. 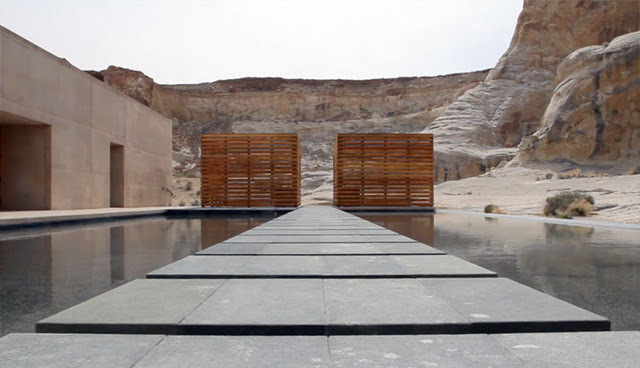 Each villa has a 700-square foot rectangular infinity pool, the edge of which appears to drop away into a desert panorama. The interior design of the villas is similar to that of the resort with the use of pale woods, earth tone fabrics and the highest quality fittings, fixtures, furniture and appliances. The villas have a lower floor (the size of which depends on the lotís topography) that can be completed according to purchasers’ wishes. 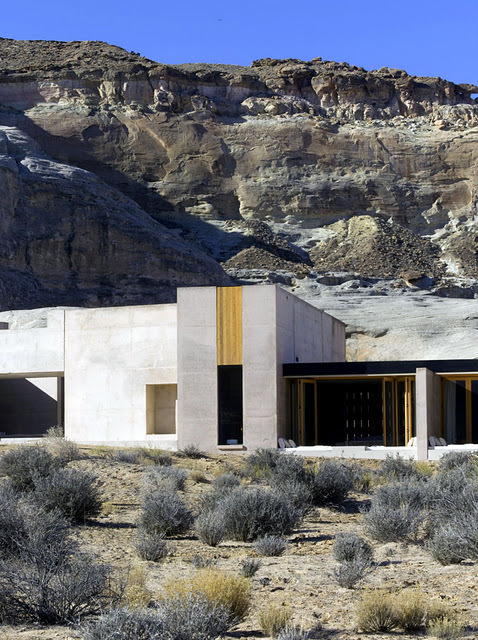 Options include creating a fifth bedroom, staff quarters, home theater, exercise studio, offices, den, game room, steam room, sauna and/or wine cellar, amongst others.